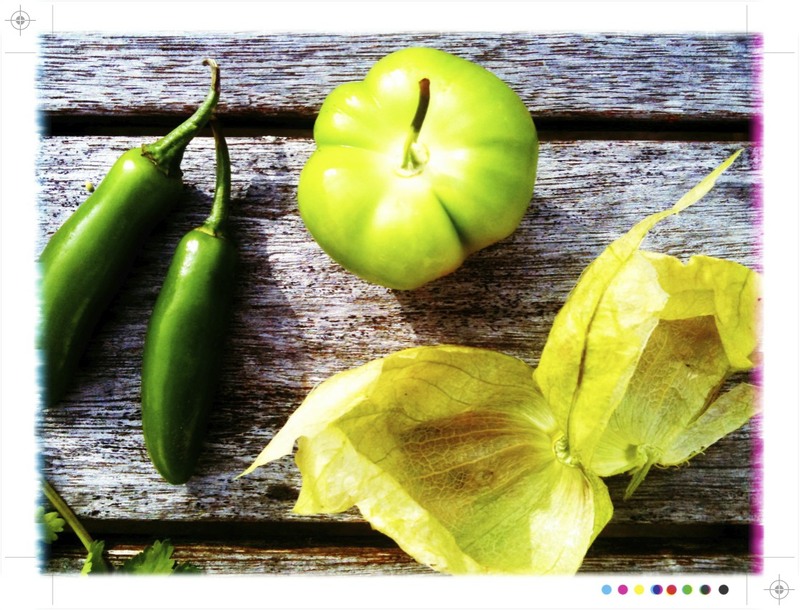 Some of these delightful green little fruits enveloped in their papery Chinese lantern like husks graced my vegetable box with their presence. 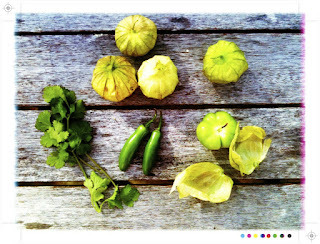 These would be tomatillos, related too, but not to be confused with green tomatoes or cape gooseberries. 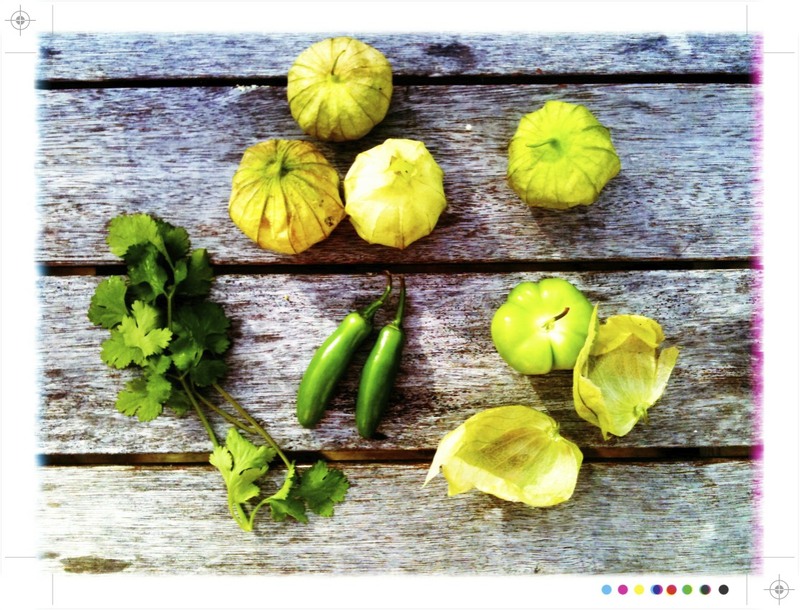 They are a staple in Mexican cuisine where they call them tomate verde (green tomato), hence they are often confused with actual green tomatoes, but they are not. They are tangier and more citrus like in taste and they are best cooked to allow their sweet, tart, citrusy flavours to shine through. I go with Rick Bayless and his recommendation to roast them on a baking sheet rather than lightly boiling or grilling directly on a skillet. This brings out their natural sweetness and makes for one tasty salsa. 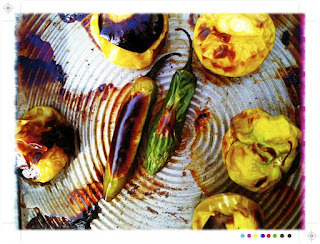 And yes it is from the master himself; Rick Bayless and appropriately posted on Cinco de Mayo which you can read about here. 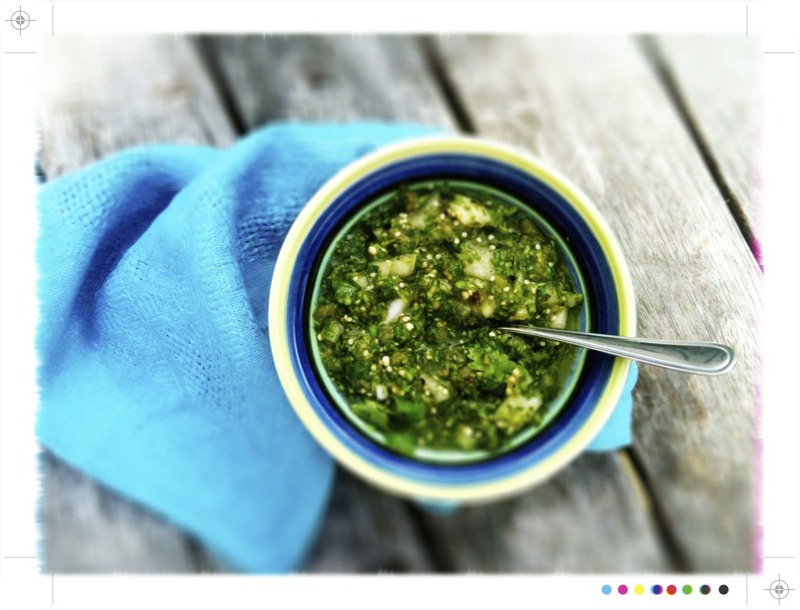 So here is a bright, spicy salsa to add to your Cinco de Mayo celebrations. The tomatillo and chilli base can be made a few days ahead. Cover and refrigerate. Just before serving stir in the onion and coriander and season with salt. 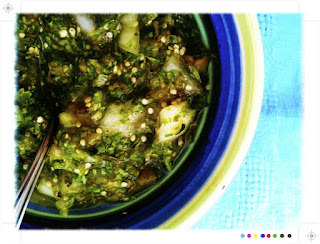 Add the water for a salsa like consistency. Roast the tomatillos and chillies on a rimmed baking sheet 4 inches below a very hot grill. Grill until they begin to blacken and soften, about 5 minutes. Flip them over and roast on the other side. 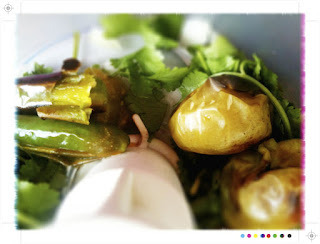 Allow them to cool and then place them in a blender or food processor. 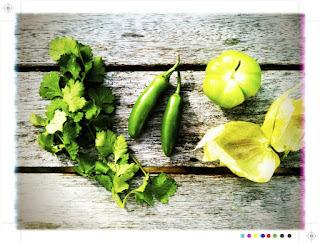 Add half a cup of water and the coriander and pulse until you have a coarse puree. Place everything in a bowl. Rinse the onion in cold water, shake to remove any excess water and stir in to the salsa. Season with salt, about a teaspoon should do it but do taste and season accordingly. 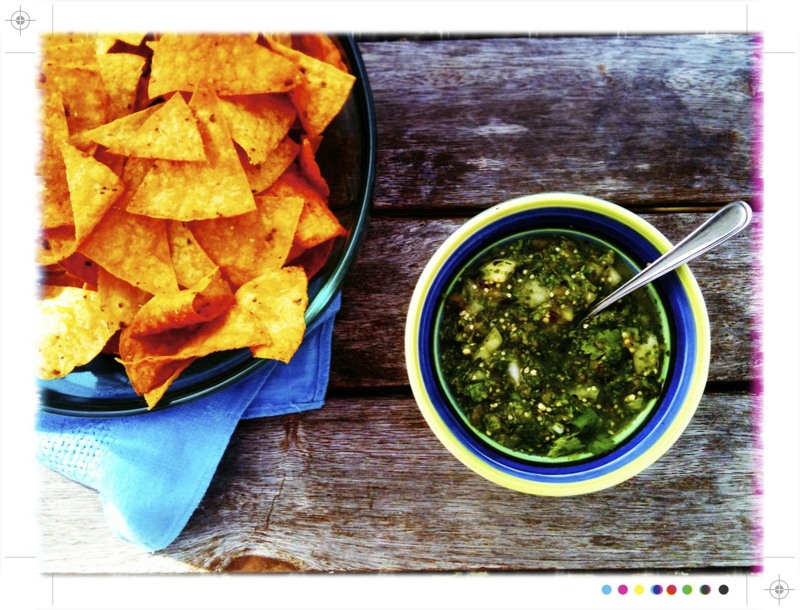 Place in a serving bowl, top with a little fresh coriander and serve it up with a big bowl of tortilla chips. I like to get my tortillas from a local Mexican shop and fry them up. No bought varieties quite beat those freshly fried. 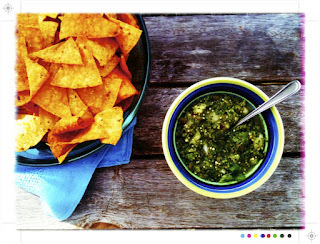 This salsa is fresh, tart, a little fruity with just the right amount of heat from the chillies, that is you most definitely know that the chillies are there. Scooped up with tortilla chips and a cold cerveza a mighty fine prelude to dinner. Happy Cinco de Mayo everyone. oooh, make this! i am desperate to, i think a trip to Farro. Sounds perfect for the weekend and pre dinner snacks with drinkies. This sounds so lovely and I love the colours! You sold me on the heat from the chillies with a cold cerveza! Sounds perfect. This Cinquo de Mayo thing is all over the American blogs and I'd never even heard of it - for shame! I love salsa verde though, I always make it when I have lots of herbs I need using up. PS: Ever considered changing your blogger settings so we can link to our blogs instead of just our Google profiles? Hope you had a good Cinco de Mayo! 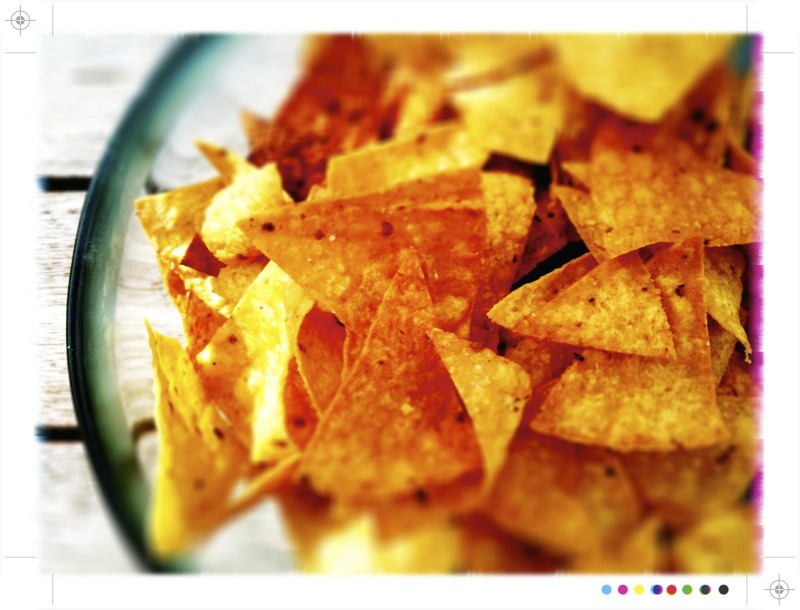 I agree, freshly fried tortilla chips are better than anything else. Also so jealous you have a local Mexican shop!!! !